The Rangers, like many GTHL teams, have taken to selling the socks to family, at school, and to friends. Some teams have taken to malls and arenas to get the message across and to increase their chances at the ultimate prize. For the Rangers, the campaign is about more than just the prizing. The campaign has been a good opportunity for the team to raise awareness for mental health. “Our team believes that character comes before hockey. 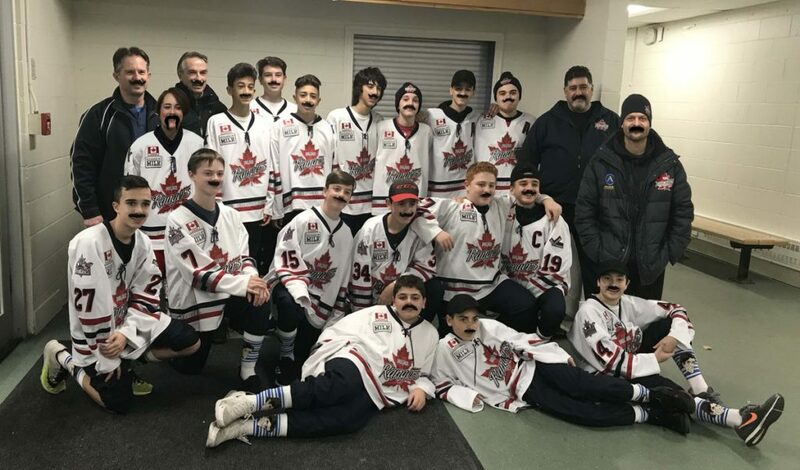 Babsocks is a great fundraiser that raises awareness to the Movember movement for men’s health issues,” explained Peter Angiolella from the Minor Bantam squad. Last year, the victorious Don Mills Mustangs Atom “AA” squad sold over 650 pairs of socks. In total, GTHL teams raised $50,000 for the Movember Foundation. Click here to learn more about mental fitness in the GTHL.